Matthew Kelly is very accessible for starters. The next step would be Scott Hahn'sand Brant Pitre's popular works. Both are academics so be careful where you start. Brant was a colleague until last May. I will add morevto the thread once I am on a real keyboard. Eastern Orthodox monk from Russia talking about the power of meditation in Christianity. Noah Primeval and Enoch Primordial. I enjoyed those two books ... wish I had read them earlier. Kindel - Amazon Prime. You will not regret it. Be sure to read them in order. What a gripping story and it builds even down to the last few pages. I can’t wait to find the right person to pass it along to. 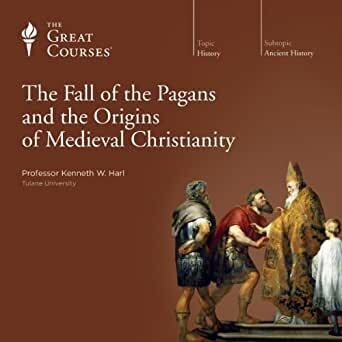 Any good books about the rise of Early Christianity, say Clement I to the Council of Nicaea? On Praise of Folly by D Erasmus and Either/Or by Kierkegaard also come to mind. Diarmaid MacCulloch's The Reformation and A History of Christianity are the best recent books on the historical aspect of the Church. Would love to hear takes on Killing Jesus. no book on this planet misses the point of Christ more than Killing Jesus. This one is more about the Bible than specifically about Christianity, but I found it very interesting and a different approach and perspective. I recently finished 2 books about the Eastern Orthodox church written by the wife of an Orthodox priest in Baltimore. The family are converts from the Western Church so the perspective is very interesting. Facing East: a Pilgrim's Journey into the Mysteries of Orthodoxy by Frederica Mathewes-Green. I liked the first much more than the second. Benedict XVI, early on in his life wrote Introduction to Christianity, and later on, as Pope, gave a series of catechesis on the Fathers of the Church which have been compiled into a series of titles called, appropriately enough Fathers of the Church or in some editions, Church Fathers The chapters are short as they were given as weekly public audience addresses. It is a frank discussion on Calvinism vs Arminianism. The Pursuit of Holiness by Jerry Bridges. Thomas A Kempis, Richard Foster, Randy Alcorn, William Law, Andrew Murray, A W Tozer, Pascal, Brother Lawrence are a few of my favorites. I liked The Faith by Bryan Moynahan. Life Together by Bonhoeffer is a short but good read. Presently reading NT Wright's biography of Paul.